This Fenwicks Awnings & Tents cleaner will easily remove black streaks, green algae, road traffic film, diesel fumes, and over wintering grime, etc. 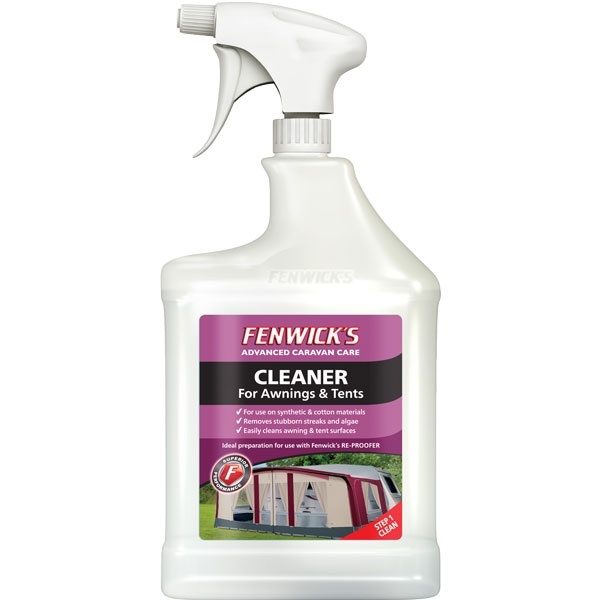 Fenwicks awning cleaner is suitable for cleaning synthetic and colour fast canvas fabrics. Simply spray on and leave to soak for 30 seconds, rub with a sponge or cloth to remove the dirt. Rinse off with clean water. Step 6: On porous fabrics apply Fenwicks Re-Proofer for Awnings & Tents to waterproof the fabric once again.